In Malaysia the sharp split between two judicial systems for child custody cases, with custody cases between Muslims being conducted before Shariah courts while other cases are conducted before civil courts, the Shariah rules that favor Muslims, and uncertain rules and practices as to whether a child may be unilaterally converted to Islam, have provided non-Muslim fathers in Malaysia with a devious ploy to procure sole custody of their children. They convert to Islam, then purport to convert their children to Islam and then petition the Shariah courts for sole custody. 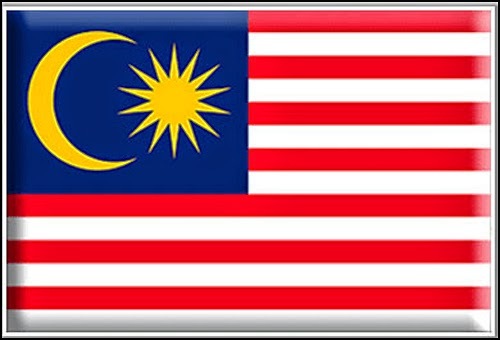 Article 121(1A) of the Malaysian Federal Constitution provides that the Civil High Courts in Malaysia have no jurisdiction in respect of any matter that falls within the jurisdiction of the Syariah Courts. In one such battle that is ongoing and has lasted for five years so far – reported in the article below – even though the High Court in Malaysia ruled in favor of the child’s mother, the Malaysian police are refusing to enforce the return order. * Jeremy Morley handles many international family law matters between the United States and Malaysia, always acting with local counsel as appropriate, and has provided expert witness testimony as to Malaysia’s child custody laws. Despite a court order to locate and return a child in an inter-faith custody battle, Tan Sri Khalid Abu Bakar (pic) maintained his earlier stand that police will not comply with it as there were two conflicting verdicts in the case. The Inspector-General of Police said he will not act on the Ipoh court order instructing the police to reunite Prasana Diksa with her Hindu mother M. Indira Ghandi. Indira’s ex-husband, Muslim convert Muhammad Ridzuan Abdullah, had secured custody of the child from the Syariah court. Khalid said that the matter is being looked into by Putrajaya and he wished not to comment further on the matter. "The fact remains that there are two conflicting verdicts. The matter is being looked into at the moment. I am not saying that police will not take action. I just wish not to comment on it at the moment," said Khalid in a press conference at a function at University Teknologi Mara in Shah Alam today. Khalid stressed the same point even when pressed further by the media. "You guys are waiting for me to say something else? I wish not to comment further," said Khalid. Khalid was served with the court order directing police to locate and hand over the daughter of a kindergarten teacher entangled in an inter-faith child custody dispute four days ago. Lawyer M. Kulasegaran representing Indira, said the High Court order was served on Khalid to instruct his men to locate Indira’s ex-husband Muhammad Ridzuan Abdullah in any part of the country and hand over the child, Prasana Diksa (Ummu Habibah), to the mother. "This order speaks for itself and we hope the police will give effect to the court order immediately," Kulasegaran told The Malaysian Insider last week. Indira obtained the order two weeks ago following Khalid's statement that minors in inter-faith child custody cases should be placed in childcare centres to be fair to both parents. Khalid had earlier said police will not act on orders from either the civil or syariah court in such cases as police were “sandwiched” between two court systems. On May 30, High Court judge Lee Swee Seng found Ridzuan guilty of contempt and gave him one week to hand over their daughter to Indira, or face imprisonment. Ridzuan defied the order when he failed to turn up in Ipoh upon expiry of the deadline to hand over the child. Indira had also applied for a recovery order to compel police to get Prasana from Ridzuan, who is said to be in Kota Baru, Kelantan. Indira had filed contempt proceedings last year against Ridzuan, who was previously known as K. Patmanathan, for refusing to hand over their daughter. In 2010, the High Court granted custody of their three children – Tevi Darsiny, 16, Karan Dinish, 15, and Prasana, 3 – to Indira. Ridzuan has held on to Prasana since April 2009. The girl was 11-months-old at the time. Ridzuan had, in 2009, obtained custody of the three children from the Shariah High Court after he unilaterally converted them. However, in July last year, Judge Lee quashed the certificates of conversion as unconstitutional.